Lakewood’s West End Neighborhood is anchored by a thriving commercial district on Detroit Avenue and home to historic homes. This proud and thriving community features Beck Center for the Arts, historic churches, new townhomes, a wide-range of housing stock, and dozens of entreprenurial enterprises. LakewoodAlive is proud to partner with the WE Lakewood merchant association as they seek to support the community through collaborative initiatives which mark the West End of Lakewood as a unique and unified neighborhood. LakewoodAlive serves as the merchant association’s fiscal agent. WE Lakewood’s boundaries are defined as all of Sloane Avenue, and Detroit Avenue from the western-most boundary of Lakewood to Cranford Avenue. Residential streets branching off of Detroit and Sloane are also included. Birdtown, a nationally registered historic district, is a factory neighborhood dating back to the early 20th century. 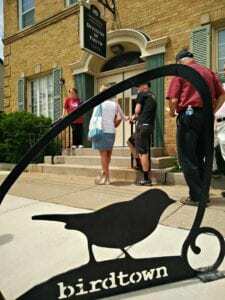 Anchored by Madison Park, Harrison Elementary School, the Madison Avenue Branch of Lakewood Public Library, along with the Lake Erie Screw Factory complex, Birdtown is a proud neighborhood LakewoodAlive has spent considerable time in since 2013. Uptown Lakewood, defined as the commercial district along Madison Avenue from Warren to Hilliard, includes bakeries, ice cream parlors, restaurants, and coffee shops. 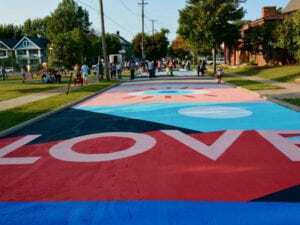 A growing merchant association is working to further strengthen the neighborhood, beautify the corridor with flowers, and create special events. LakewoodAlive is proud to partner with the Uptown Lakewood merchant association as their fiscal agent. WE Lakewood’s boundaries are defined as all of Sloan Avenue, and Detroit Avenue from the western-most boundary of Lakewood to Cranford Avenue. Residential streets branching off of Detroit and Sloan are also included.